Hey guys! Recently, I picked up a couple of books written by YouTubers, and I thought I'd do some reviews! Enjoy! I'll admit, I've never really liked Tyler Oakley. He always came off to me as a bit arrogant and like he thought his opinion was infallible. So when I saw his book on a table at Barnes & Noble, I picked it up and read a couple pages out of curiosity at "What could he have come up with this time? ", not because I had any fondness for the man. To be bluntly honest here, YouTubers are famous because they're good at connecting with others through a camera, being entertaining, video production, etc. - not because they're good writers. I often find YouTubers with absolutely no writing ability whatsoever will come out with a book that will sell well almost solely because they're famous, not because the writing itself is actually good. An example of this is Connor Franta - I absolutely adore him, he's one of my favorite YouTubers, but when I tested out the first chapter of his memoir I almost fell asleep. The same is true with Joey Graceffa and Zoella - amazing people, love their videos, but I just couldn't get through their books. The opposite is true with Tyler Oakley. I may not be overly fond of him personally, but if that man weren't on YouTube, he could make a bang-up career out of writing and I'd probably read every book he'd come out with tbh because he's just that good. I don't know where it came from, this oasis of quality writing in a desert of YouTuber book boringness, but I'm drinking it up desperately and goddamn it's good. 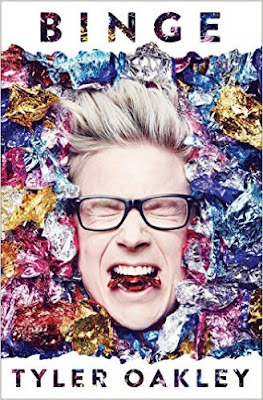 Binge is a collection of stories and anecdotes from Tyler's childhood up through his adulthood. Not only is his writing engaging, gripping, raw, and emotional, he skillfully ties in little nuggets of wisdom about finding and learning to love yourself - including his journeys with coming out, anorexia, having divorced parents, and depression, as well as a little bit about physical abuse. I cried at some parts and laughed out loud at other parts and felt about ten times better after I had read the last sentence. The only thing I didn't like about the book was the "binge" theme. Now, don't get me wrong, the graphic design involved with it was superb, and I didn't have a moral issue with it or anything, but it seemed like at the beginning he was like "okay this book is about binging" and then in the middle he was like "here are a bunch of stories about my life and I'm not really going to try to tie them into binging" and then at the end he was like "okay now I'm going to try to sell to you that this book was about binging even though I pretty much haven't mentioned the word once since the introduction and the only trace of the theme in the actual body of the book is the photography of candy wrappers scattered inconspicuously throughout". In summary, it just left me confused. How did these stories tie into the theme? What was he trying to get across here? What was the main point? I was very confuzzled. Overall, 4.5/5 stars. I'm docking a half point because of the confusing theme, but the writing is absolutely gorgeous and the graphic design beautiful. Hurry up on a second book, dude. Don't leave me abandoned in the desert. So, would I recommend Binge? 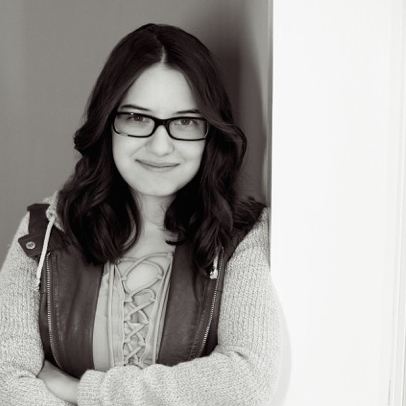 If you like Tyler Oakley: Definitely. If you don't like Tyler Oakley: Shut up and read it anyways it's beautiful. 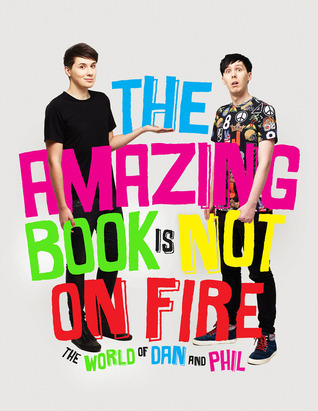 I've always loved Dan and Phil, and so when their book was announced in March, I pre-ordered it immediately. When it came*, I ripped open the package and set to reading it immediately. What I like about TABINOF is that it's not a memoir or a novel or similar. Unlike most other YouTubers, Dan and Phil didn't try to make themselves into writers where they may not have the ability. Instead, it's almost like a scrapbook - as Dan put it, "....this thing that we've created - this world of Dan and Phil - is ephemeral. It was never something that tangibly existed, just hundreds of pictures and videos and stories and memories floating around in the digital void of the Internet......This book is us taking our favorite parts from that swirling universe on the Internet and trapping it in something physical." It includes tons of fun sections, like "What Dan and Phil Text Each Other", "How to Draw the Perfect Cat Whiskers", and "Which of Our Dining Chairs Represents You Emotionally"**. The huge variety of stuff made every page just as exciting as the last. However, the scrapbook sort of theme did make for a general lack of actual written content - most of the book is purely visual. There were some great written parts, like where they talked about their university (or "unicorn") lives, but in general there wasn't that much writing, and, while I do appreciate them not trying to make themselves into writers, I do wish there was a little bit more than there was, as an avid reader it did feel like something was missing. However, that was just my personal preference. Overall rating: 3.5/5 stars. Fun and engaging with superb graphic design. I wish there had been a tad more written content, but the "compilation of fandom stuff" theme was enjoyable. So, would I recommend The Amazing Book is Not on Fire? If you're a Dan & Phil fan: Get it. Now. If you're not a Dan & Phil fan: Maybe. Because it's more like a scrapbook full of inside jokes and stuff that was built for the fandom than a memoir or autobiography, some people who aren't into Dan & Phil may not as enjoy or "get" it as much. Then again, some might - and it might get you into the fandom! But check out a preview or read several pages from your friend's copy before purchasing your own. Well, that's all for today! Do you have either Binge or TABINOF? What do you think of them? And, most importantly, which one of Dan & Phil's dining chairs represents YOU emotionally? Comment below :). *Which was two weeks later than it was supposed to. Wtf Amazon. I haven't picked up Binge yet, although I really would like to. Tyler's personality had to grow on me, but I love the man to bits now. TABINOF was wonderful in my view. I probably was biased because I love the boys so much and it may have transferred to how I felt about the book, but I really did just love it. It's very good, I really recommend it. Yeeeeees, you sound like the blue chair. That is Phil's chair. But I expect a big mish mash of everything Dan and Phil would be quite enjoyable. But if it's just that good, I'll look into it. Oh dear. Yes, it is. You might be grey, I think.